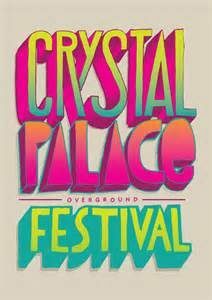 On a freezing January night last week I wound my way across south London to a warm and jolly bar in Crystal Palace, there to meet with the Chair of Trustees and some volunteers from the Crystal Palace Overground Festival 2017. 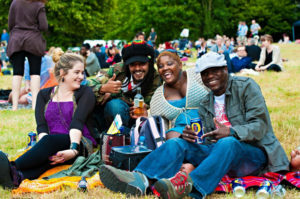 Overground is a very successful arts festival, so successful that it has outgrown its original home in Westow Park and moved to the much larger, 200 acre Crystal Palace Park. Home of the original Crystal Palace after it was moved from Hyde Park site of the 1851 Great Exhibition, until it burnt down in 1936, the Park has a rich and interesting history. Something which the Festival organisers, now a Community Interest Company, ( a not-for-profit social enterprise ) are anxious to explore and highlight. My involvement arises because of my part in organising the Clapham Literary festival in 2016 and because the Overground organisers want to expand to include the spoken, and written, word in their growing festival. Thus far Overground has concentrated on community arts and culture, with emphasis especially upon music. Its 2015 iteration drew 10,000 on a crowded Saturday, as well as people who attended the wider ‘fringe’ events across the week. This year, when the festival returns after a year’s break, the organisers want a ‘Spoken Word’ tent and, possibly, a dedicated ‘Storytelling’ tent, on the main Saturday. In addition, potentially, to literature and writer based events on the ‘fringe’. I went to talk to them about my experience last year. It all seemed very far away last night, but the Programme has to be finalised and locked down by the end of February. There are elements which the organisers, very experienced though they are at presenting a music-based festival, hadn’t thought about, like the provision of books written by those taking part, for sale to festival-goers. There’s no reason why the logistics of ‘sale or return’ should have impinged upon them, but it must be taken into account for events about books or writing. And there’s the more obvious question of sound. Two big sound stages are planned so the ‘Spoken Word’ and ‘Storytelling’ areas have to be well away from them, and the scheduling has to be such that some of the quieter spoken events don’t clash with the big stage headliners. Thinking so far is to place these tents around the corner from the vast open spaces, in a lightly wooded area. There will be a bar and coffee/other soft drinks bar nearby, so folk can get themselves a drink than come into the tents to sit down and listen, or even take part. Meanwhile, I’m already contacting likely authors, especially those who can ‘perform’ as well as entertain by talking. So Barbara, our nomad, who will have returned from her sojourn in the middle east by then, may be conducting a breathing workshop in the ‘Holistic’ tent and signing her book about breathing. A storyteller of my acquaintance, just back from north Africa where she’s been researching the oral tradition of nomadic people, might be a candidate for the ‘Storytelling’ tent. 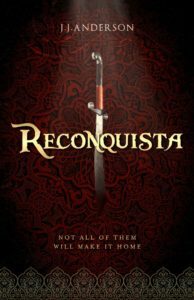 And there’s ‘Reconquista‘ too – I met a couple of weeks ago with the director of a theatre troupe who just happened to have a pirate ship which he was willing to bring to Overground. Now there’s a happy co-incidence. So, potential dates for London-based Story Bazaar readers, 12th – 18th June 2017 at Crystal Palace Park. I’ll be reporting on how things are going as the date approaches.